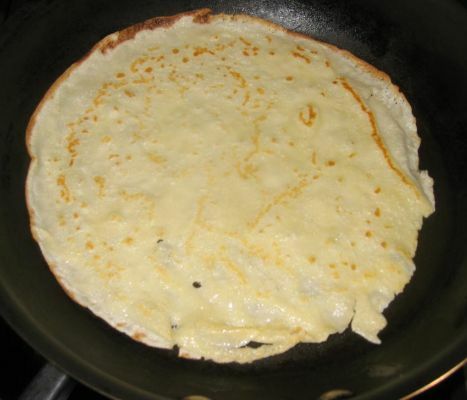 Crêpes originated from Bretagne (Brittany), a region in the northwest of France. 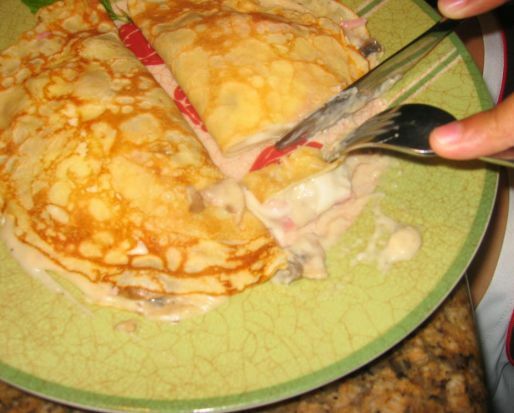 Crêpes are very versatile, they can be savory or can be served as a dessert depending on the filling. 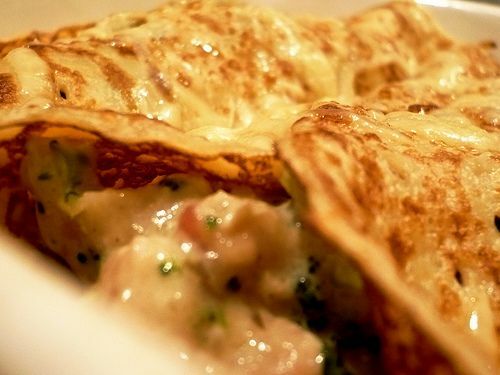 Common fillings for savory crêpes are cheese, mushroom, spinach, asparagus, eggs, ratatouille, artichoke etc... Crêpe can also be filled with sweet items such as Jam, melted chocolate, ice cream, Nutella, and a variety of fresh fruits. In France a Crêperie is usually a takeaway stall or, serving crêpes as a form of fast food or street food, or it could be a more formal sit-down restaurant or café but the most popular one are still the street stall. Crêpes are usually very affordable and they come is a variety of flavors so there is a Crêpe for everyone of us. I usually order butter and sugar Crêpe, the most simple one on the menu.. 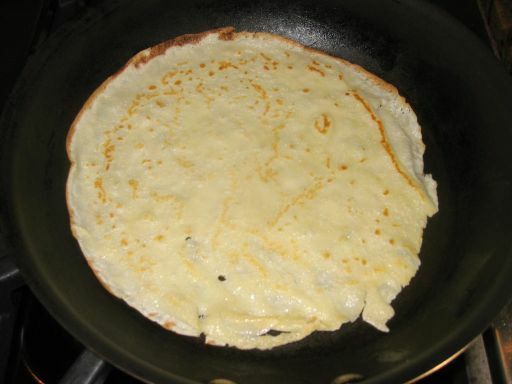 If you have a chance to go to France, find a Crêperie stall and order a Crêpe! It is actually fun to watch them make Crêpes. 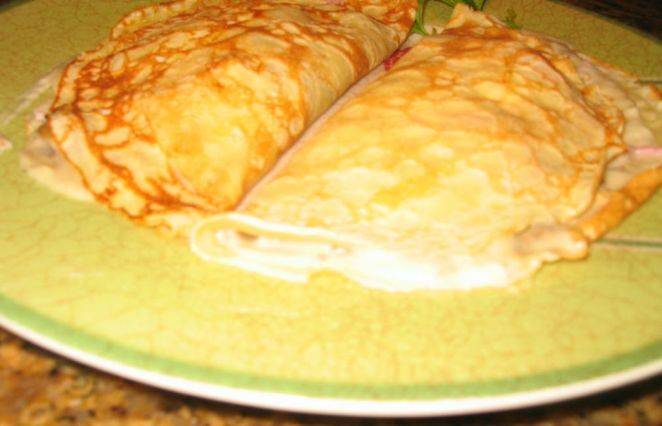 Crêpes are usually very affordable and it is a great snacks in between meals. 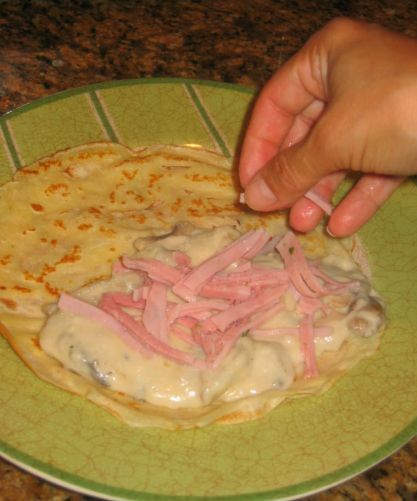 Tonight I opted for a savory crêpe with Ham, mushrooms, and Béchamel filling. Actually Kevin been asking for me to make this dish for a while. The last time he had a crêpe was in Las Vegas and been craving for it ever since. 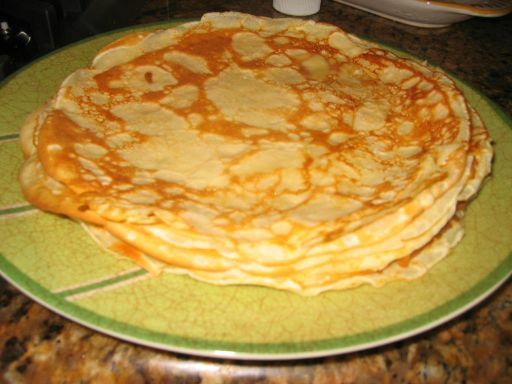 Actually, I do not know any restaurants in the Bay Area that serve good Crêpes, so in the mean time, if we want to eat Crêpes, I guess I have to make them! Kevin is cutting a piece of the crêpe.. He gave it two thumbs up! Closer look at the crêpe. 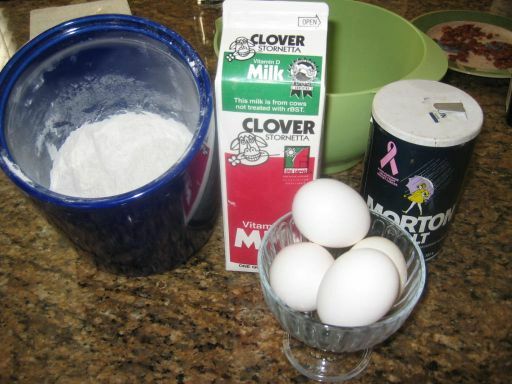 The ingredients: eggs, milk, salt and flour. All the ingredients are mixed together. 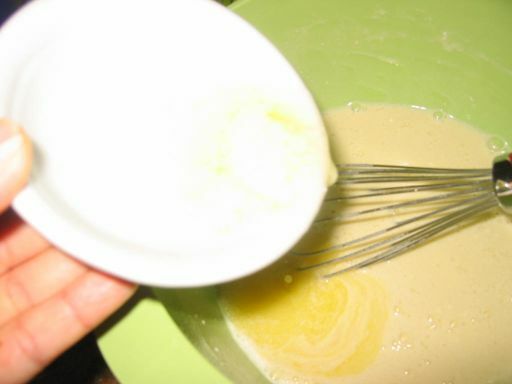 Once the mixture is well blended, melted butter is added and the batter is refrigerated for at least 1 hour. 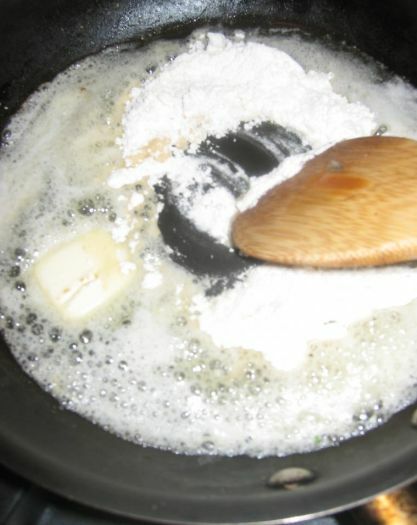 Pouring a thin layer of the batter into a hot oiled frying pan. Once the first layer is golden, the crepe is flipped to the other side so it will get some color too. 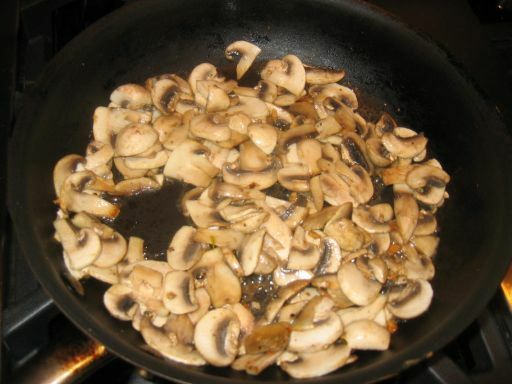 A plate full of crepes waiting to be filled with good stuff ..
Sautéing the mushrooms until cooked. 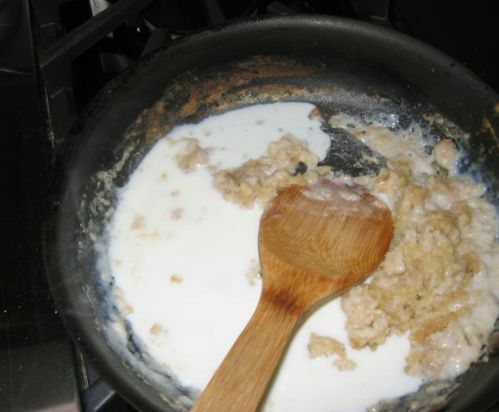 Making the béchamel sauce. Butter is melted than flower is added. 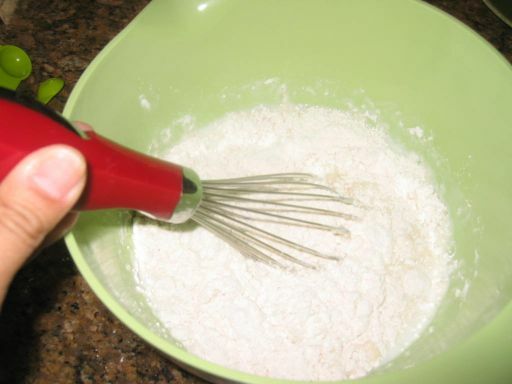 Once the butter and the flour had thicken, a spoon of mustard is added and milk is also added. 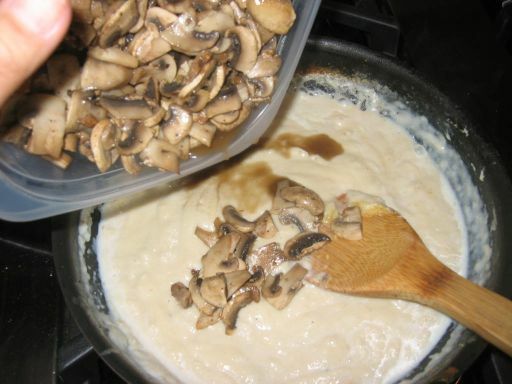 Once the béchamel has reached the desired thickness, mushrooms are added. 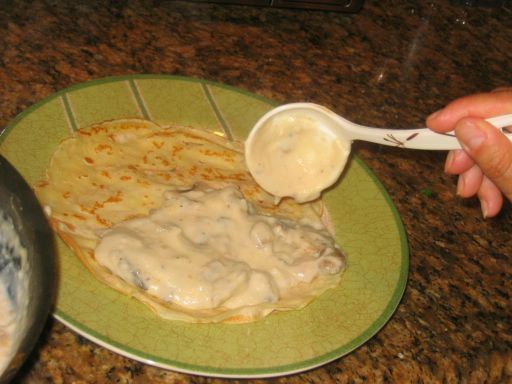 I am now filling the crepe with the béchamel/mushrooms sauce. Ham and chopped mozzarella are added on top of the sauce.. I usually put the whole crêpes in the microwave for 10 seconds so that the mozzarella is melted and gooey.